This summer, you have the opportunity to rediscover and pay tribute to one of the most influential pieces of United States naval history, The Hermione. 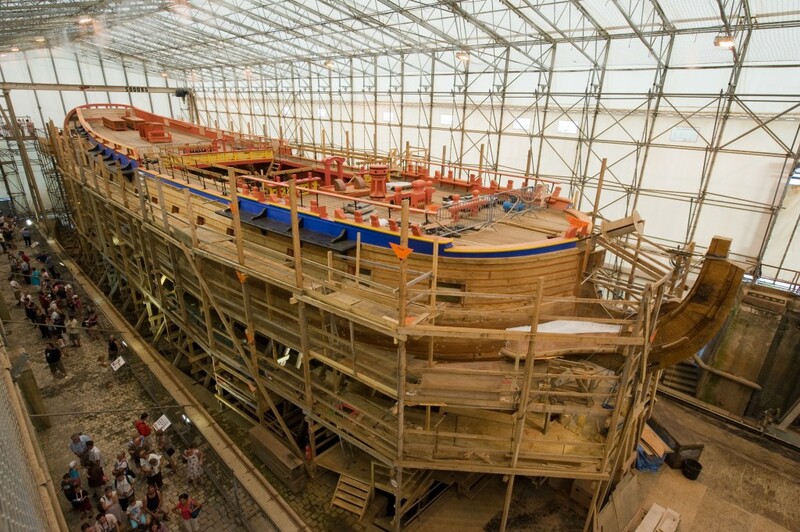 Over the past two decades, Friends of the Hermione-Lafayette in America have brought to fruition their dream of constructing an exact replica of the vessel that brought Marquis de Lafayette to the US during the height of the Revolutionary War. The original ship is deeply rooted in the history of the founding of the United States and its relationship with France. By crossing the Atlantic and offering aid, Marquis de Lafayette and the French Government allowed the Revolutionary Army to hold off British forces and eventually gain their independence. This summer, the Hermione sets sail once again! The voyage to the US will begin in Rochefort, France, make a quick stop in Las Palmas, Africa and then make its way up the eastern seaboard, from Yorktown, Virginia all the way up to Lunenburg, Nova Scotia. The replica was authentically crafted using the same techniques, tools and blueprints as the original, and was constructed in the very same port that Lafayette set sail from in 1780, Port des Barques France. Not only will the ship be open to the public for tours, but there will also be cultural activities on board such as, reenactments, photo and video exhibits, elegant evening events, and ceremonies attended by dignitaries to pay homage to the importance of the history of this ship and naval warfare as a whole. The Hermione will be making stops in major metropolitan areas such as Philadelphia, New York, and Boston as well as historically relevant cities such as Mt. Vernon, Virginia and Castine, Maine; events will vary based on port city. Whether you're a naval history enthusiast or a parent looking for a fun and educational activity for the whole family, a visit the The Hermoine is a perfect way to spend a summer afternoon, but hurry, she won't be here for long! Learn more about the Hermione, and find out when she'll be in an area near you by visiting the Hermione 2015 website! The next time you're planning on taking the boat out on a weekend trip, consult Dockwa, the transient docking app that will make all of the headaches of reserving a slip or mooring disappear!